Organizing one’s space is often inspired with the start of a new year, the changing of a season, moving to a new home or simply because it’s the weekend. Whatever it is that stirs or motivates us, the end result is often a fresh outlook unleashed on our creativity. Who doesn’t love inspiration? 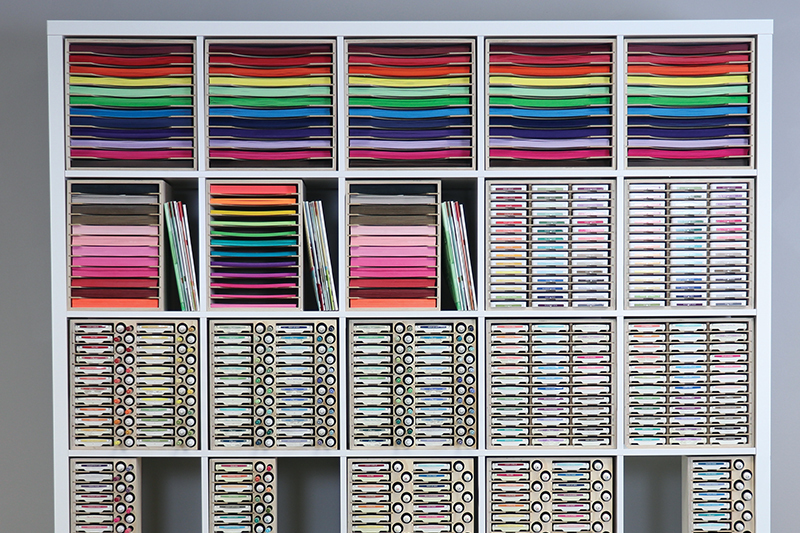 Getting organized doesn’t always mean taking your space down to the bare walls. In fact, a great place to start is with ink pads. They are frequently used and something that needs to be easy to access. 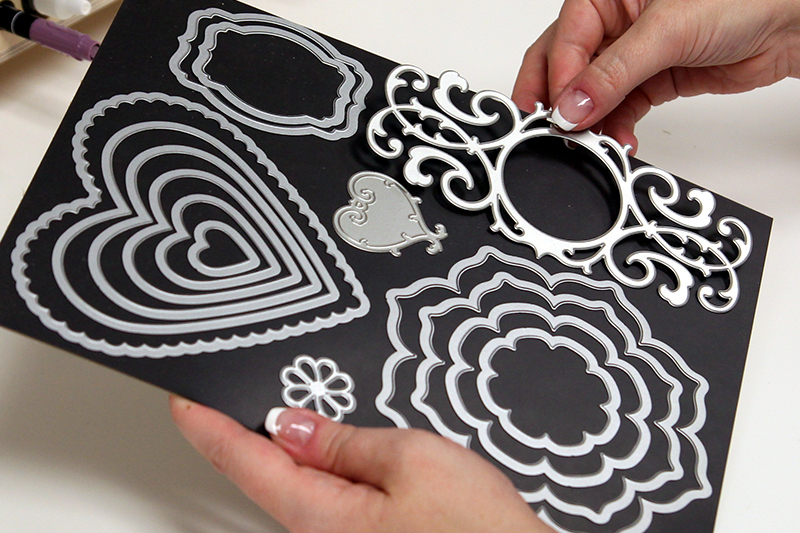 Today, we're going to focus specifically on Tim Holtz Distress® and Oxide® inks. This includes ink pads, refills and markers. They each have a unique purpose in the crafting process. When Stamp-n-Storage designed the Ink Pad Holders for Distress® and Oxides®, they kept this in mind. 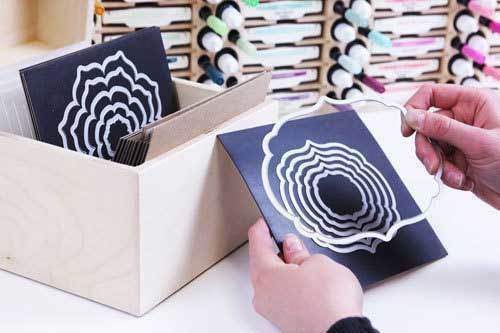 Like all Stamp-n-Storage products, the Ink Pad Holders are made of Baltic Birch wood. Sanded, unfinished wood means you can leave your organizer natural or stain / paint it to match your décor. 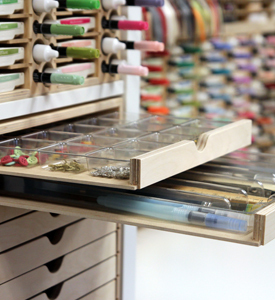 The designs feature a notch on each cubby that allows quick and easy access to your ink pads. Each Ink Pad Holder is available in standard or for IKEA options. 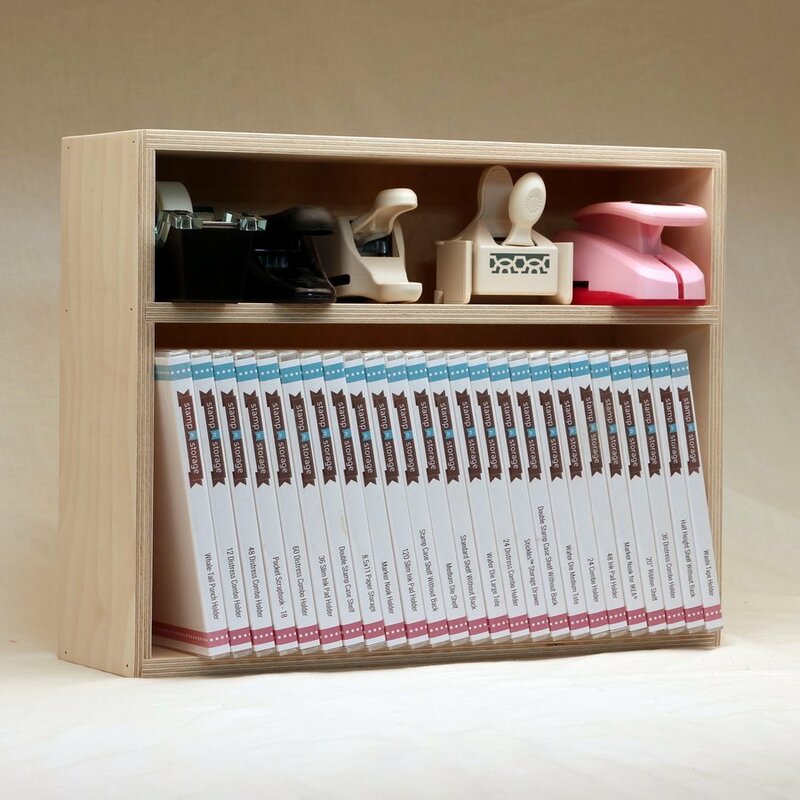 Stamp-n-Storage products are stackable and can be placed side-by-side. This is due to the "standard" height of the product (13-1/4"). It's a great way to keep all your most used supplies neatly organized on your desk and at your finger tips. The IKEA® option offers a size that fits perfectly in the IKEA® Kallax shelving unit. 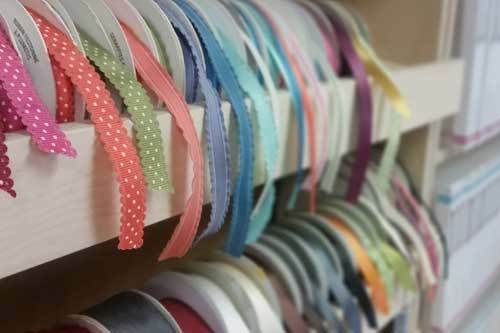 This is another great way to organize your supplies, keeping everything visible. Let's take a closer look at the Distress® Ink Pad Holder. It is available for as few as 12 to as many as 60 ink pads. The Distress® Ink Pad Holder is a great option for either Distress® or Oxide® inks. You can even store smaller collections of both. Next is the Distress® Ink Pad and Refill Holder. This one fits Distress® and Oxide® inks as well. However, it is a great option for the Oxides®. Next to each ink pad, you are able to store the matching refill bottle. 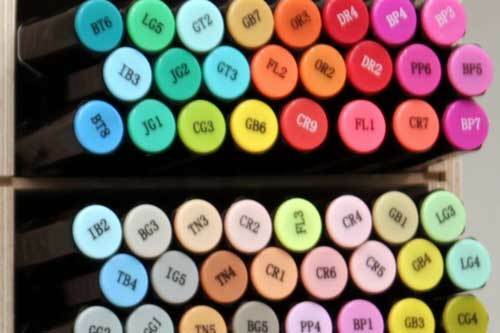 You'll never have to go searching through refill colors again. Need a spot for your blending tools? A slight adjustment will make this the perfect storage solution. Simon Hurley shares his method on this YouTube video. You might ask why the Distress® Ink Pad and Refill Holder is the ideal holder for the Oxides® inks? After all, Distress® inks have refill bottles too! Yes, you can most definitely keep your Distress® inks and refill bottles neatly organized with the Ink Pad and Refill Holder. However, Distress® also has a line of Distress® Markers. That's what makes the Distress® Combo Holder the perfect option for your Distress® ink pads. The design provides additional storage for ink refills as well as the matching markers. You can keep everything organized together in one place! How cool is that? How about those little guys? 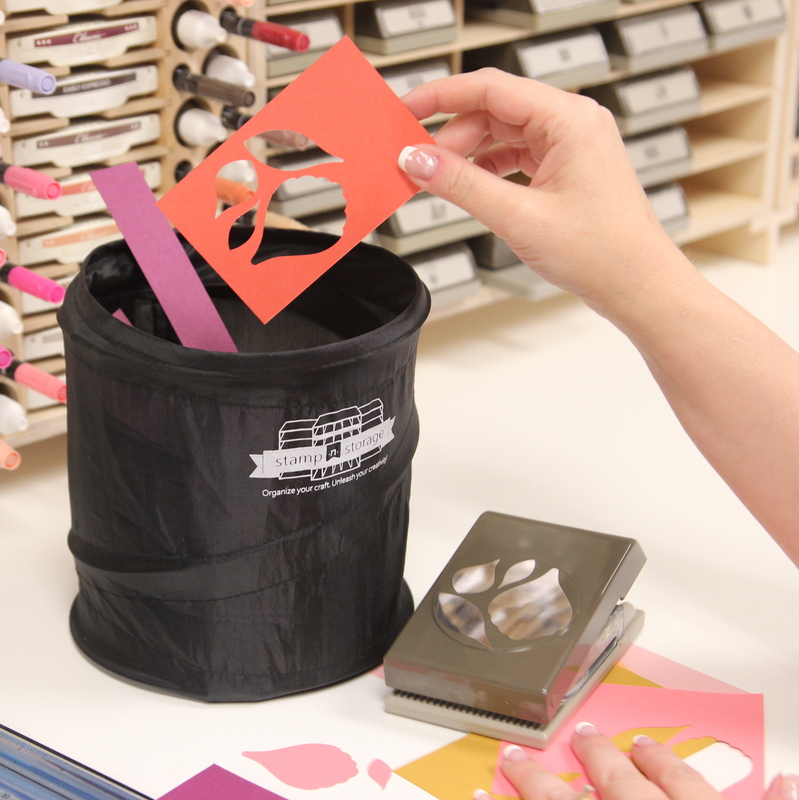 The Mini Ink Spot Holder fits in a drawer and accommodates either 49 or 56 of those adorable mini Distress® ink pads. Designed to fit in the Drawer Cabinet, two options are available for either the 12x12 Drawer Cabinet (stores 49 mini inks) or the Drawer Cabinet for IKEA(stores 56 mini inks). 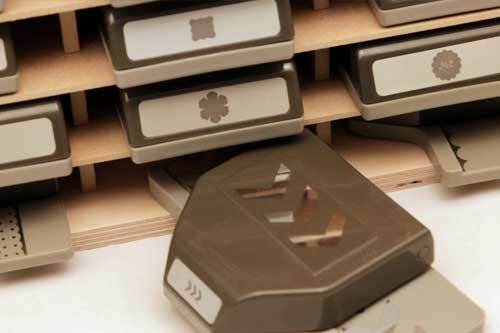 If you are limited on desk space Stamp-n-Storage products also have the option to add a wall-mount to your product. This includes a separate wood strip for the wall, as well as hardware and installation instructions. 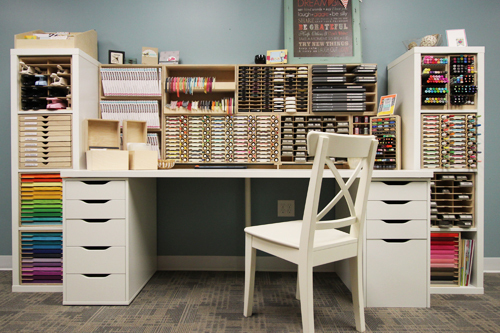 Maximizing your space and keeping your ink pads visible and with easy access is sure to inspire your creativity. 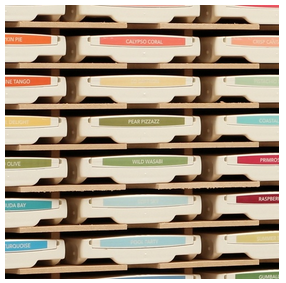 Imagine your inks stored perfectly, you’ve labeled each one with a colorful dot and/or name to identify the color. You have a project in mind and all you have to do is reach out and create. Isn’t it time to unleash that inspiration and spend more time creating than digging through your stash? We thought so too. 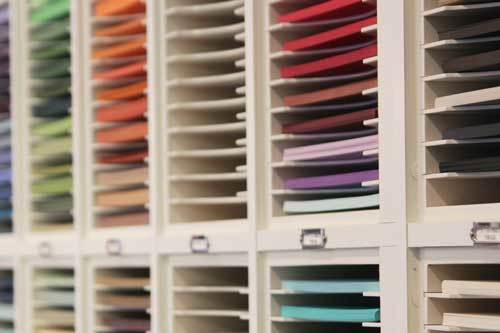 Stamp-n-Storage can make that dream a reality. Kathy Bohannon is an avid crafter and an independent Stampin’ Up! demonstrator. She and her husband of 42 years live in Georgia with their three Boston Terriers.